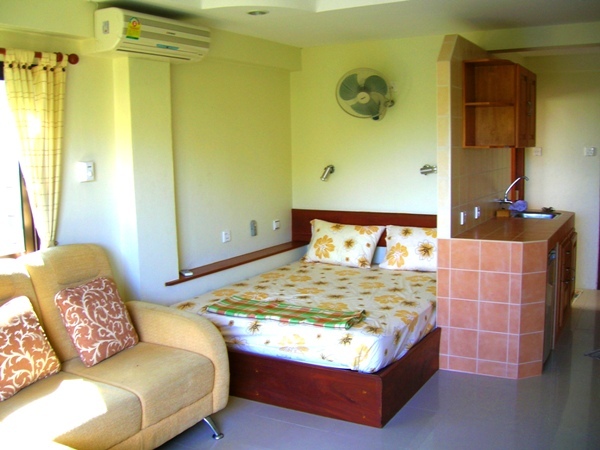 RentPhuket has a number of well-finished studio apartments for rent in the heart of Rawai Beach, a quiet village at the southern tip of the island of Phuket, Thailand. 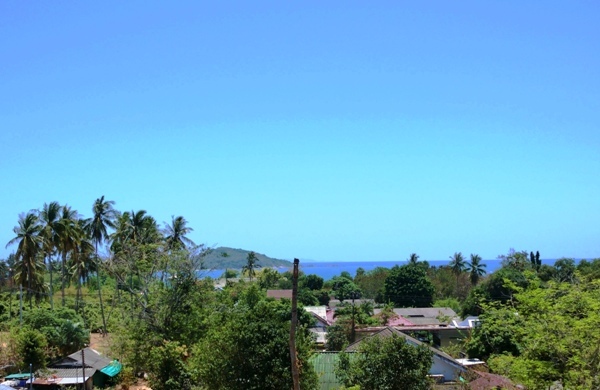 Our premium studio apartments in Rawai are a few hundred metres from the stunning Andaman Sea, and each of these Rawai apartments has a sea view. 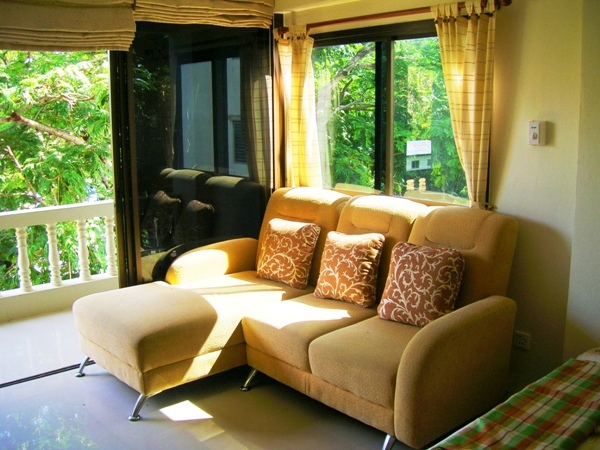 Each Rawai apartment for rent has a full-width balcony with French-window access; the design is intended to make the balcony an integral part of the living area, bringing the sea view into the apartment. 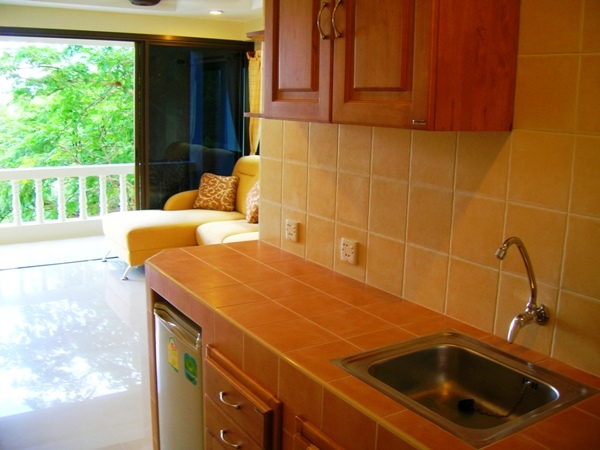 Each of our premium Rawai condominiums is fully furnished, with ensuite bathroom and kitchen area with refrigerator and cooking hob. 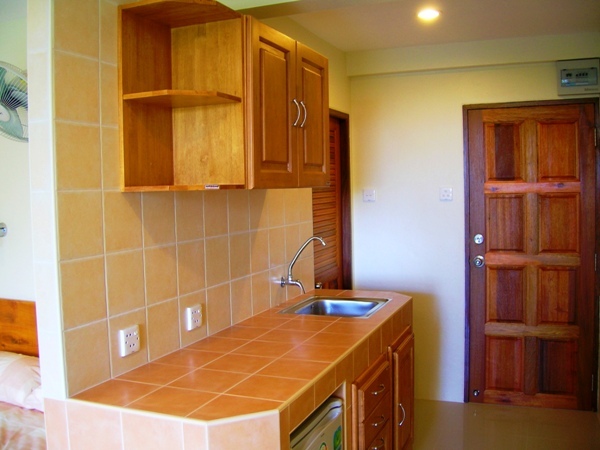 These apartments in Rawai come with 16MB WiFi and LAN Internet at no additional cost. 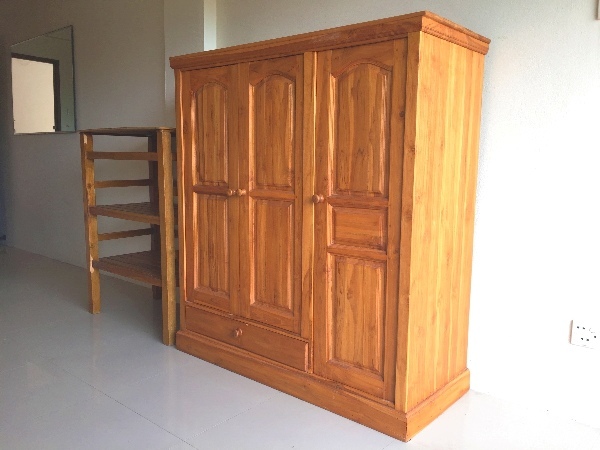 Each western-designed premium Rawai studio apartment is furnished to a high standard, with comfortable sofa bed, hand-built bed and a teak wardrobe. 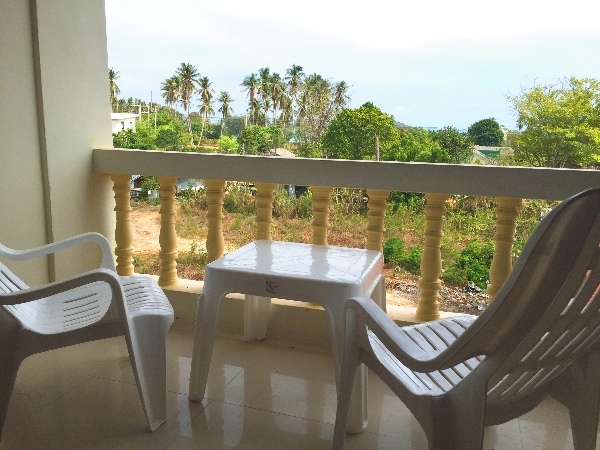 All our studio apartments for rent in Rawai are air conditioned, and all also have two fans if you’d prefer to keep the sea breeze moving around the apartment. 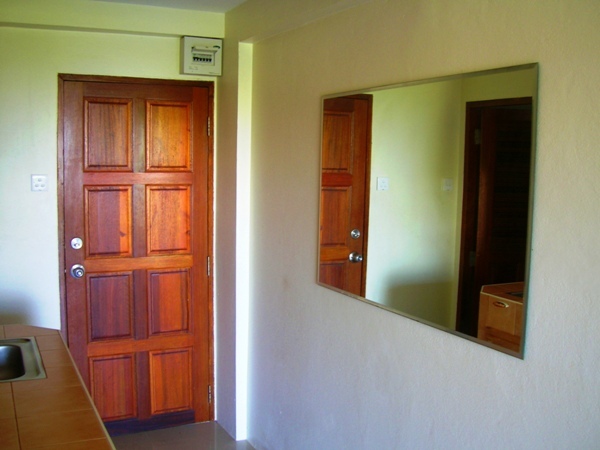 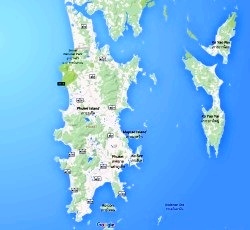 Have a look further down the page for some pictures of the premium studio apartments in Rawai Beach, or click the “Rawai Beach” button above or at the bottom of the page for more information about Rawai Beach, and a Google map showing the location of our premium apartments in Rawai.